On Monday night I joined about 100 other people at our local running store in West Seattle (a neighborhood in Seattle that feels like its own city most of the time). West Seattle Runner owner, Tim McConnell, took this picture. We ran a 3 mile route and passed a street called Massachusetts where a poster with an image of the Boston Red Sox "B" with a yellow lace ribbon on it was hung on the street sign. As you can see, we had a few runners in the group who were at Boston this year. The little girls in the front told us about how their teacher had run Boston this year and was thankfully unhurt. Here is local coverage of our run (and a video in this link! I am at about the :28 mark, in a gray shirt and gray and black striped shorts). 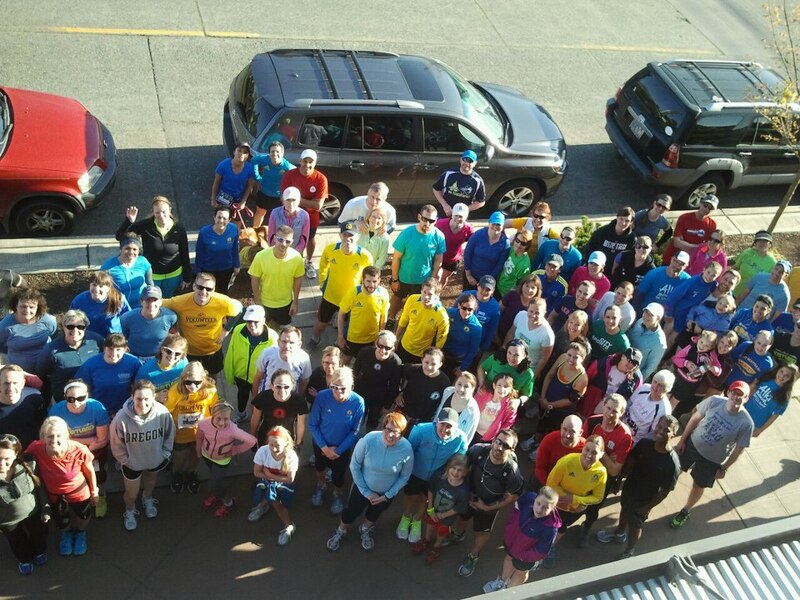 Thank you West Seattle Runner for hosting this run! THat's great that you were able to make it to the run. So nice that everyone had good turn-out for these runs.